Last year we traveled around the world with our 8 kg carry-on for 365 days and couldn’t fault our packing list! However, there are now some things that I will never travel without! Whether it’s scorching hot Amazon or freezing cold Antarctica, below are 8 things I must bring on my next big trip! Ever since we bought Pacsafe Cashsafe Travel Belt , it has become our top No.1 must bring travel item! This travel belt is made of fabric and plastic completely, being metal-free which means you can breeze through airport security. The official image from Pacsafe for Cashsafe Travel Wallet, couldn’t tell there’s money inside unless I told you so right? We usually have ten folded US$100 notes in the belt as emergency money, otherwise we typically just withdraw from ATM. Having this belt gives us a piece of mind since it looks like an ordinary piece of garment. We travelled to many third-world countries and so far we haven’t had any problem. Totally understand now why some people are addicted to only bring a carry-on size luggage while travelling! Not only you save money on not needing to purchase an extra check-in luggage while flying budget airlines, you get to leave the airport faster than those who need to wait near the baggage carousel. 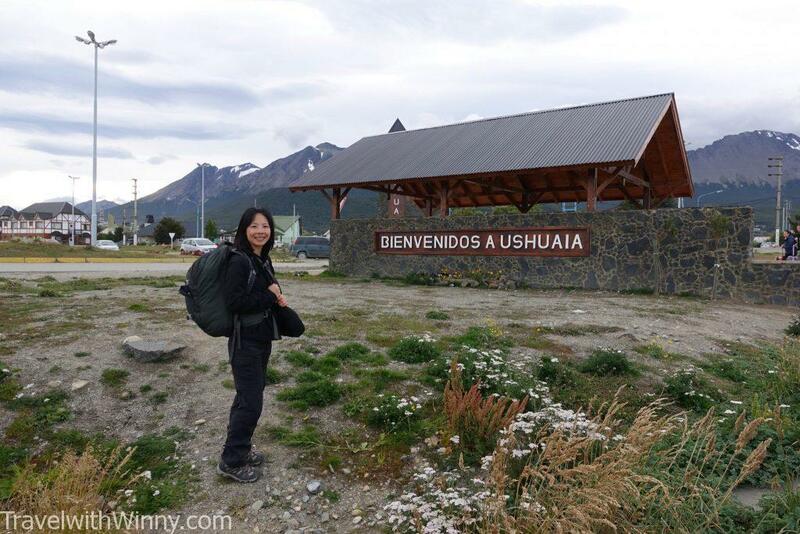 At Ushuaia with my Osprey Farpoint 40 walking from the airport. We adore our Osprey Farpoint 40 backpack! It is the only brand that has an S/M size which is perfect for short people like me. After a year of backpacking, the bag is still intact, which we will continue to use on our mini trips. Although sometimes I do miss a big suit-case where I can go on a shopping frenzy and purchase whatever I want. Before this trip I never knew the existence of packing cubes, I always use plastic bags to seperate my clothes. After purchasing these babies, I cannot go back without it! 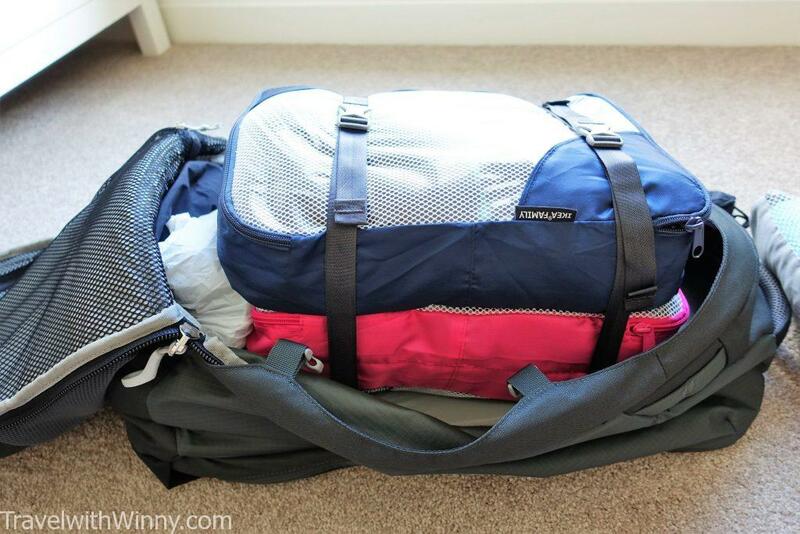 Not only my bag looks tidy, I am able to fit more clothes in a given space. Definitely a must bring item if you planning to travel long-term with a small luggage. Imagine all these clothes are in a plastic bag instead of packing cubes? Even though we are “backpackers”, I actually don’t like walking around with a large backpack! Every time we arrive at a new place, the first thing I do is head to our accommodation. 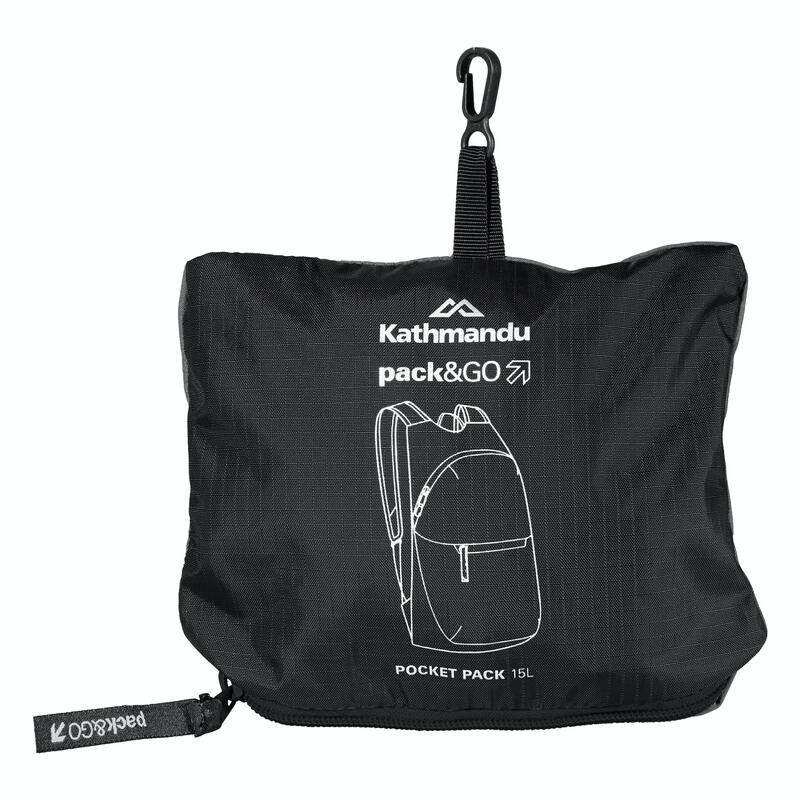 Then we will go out with our day trip necessities inside Kathmandu’s Pocket Pack 15L, which is handy if we ever decide to do grocery shopping as well. Sea to Summit Ultra-Sil Day Pack is another great option, it is one of the lightest packable backpacks on the market. If you feel uncomfortable with a backpack on your back, you can always have it front of you. It is better to be safe than looking fashionable in some cases. Another good thing about bring a packable bag is that some budget airlines only allow ONE carry-on, therefore you can just fold it up and avoid the fine. I can’t recall in how many sudden adverse weather conditions, I was so glad to have Marmot Minimalist Jacket in my bag. At that time this jacket was the most expensive piece of clothing I own! When I finally got it in the mail, I was a bit suspicious whether this thin piece of fabric will actually block out rain and wind like it said. However, when I was hit with an unexpected strong breeze, this jacket made a world of difference! Suddenly I was not shivering and the chill stopped going down my spine. 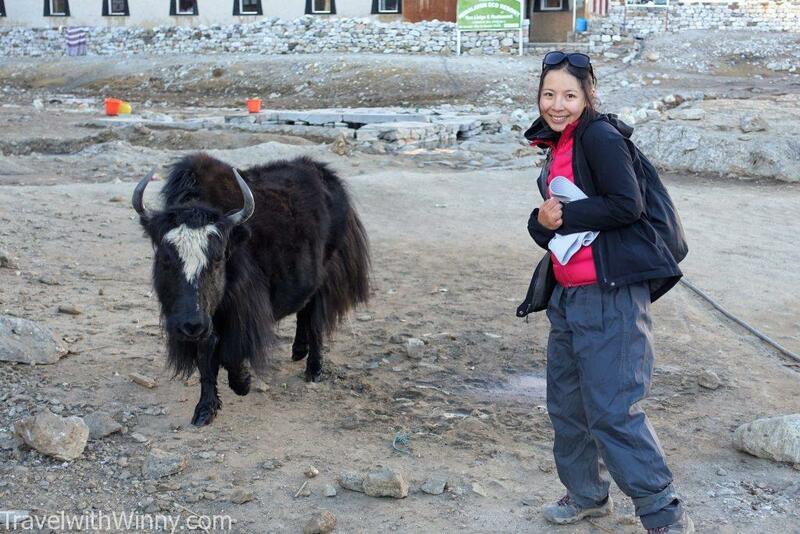 In the Himalayans with my new yak friend, the Gortex jacket surely made a difference in high altitude like this. Note: Not all “waterproof” garments are created equal. It is important to look at its “waterproof ratings (mm)” and “breathability”. I would advise people to get at least 10000mm in waterproof rating for a jacket and 5000mm for pants. To read more information on this subject please link to Waterproof Ratings and Breathability Guide. Other than eating cheaply on the road, the next best way to save money is to not take public transports! In order to keep our budget down, we walked anywhere that’s less than 3Km, on average we walked about 10Km per day and more than 2000Km during the year! A good pair of walking shoes is important and nothing beats a good pair of hiking boots. The Merrell and Keen hiking shoes/ boots that lasted more than 2000Km of walking. After browsing endless hours online, we bought Merrell Men’s Moab Hiking Shoes for York as the black in this style looks like a pair of normal footwear where he can go into classy restaurants if we choose to. I bought myself a pair of Keen Koven Mid WP Hiking Boots where the pink lace suits perfectly with jeans! If you have wide feet like mine, then Keen is a great brand to look. 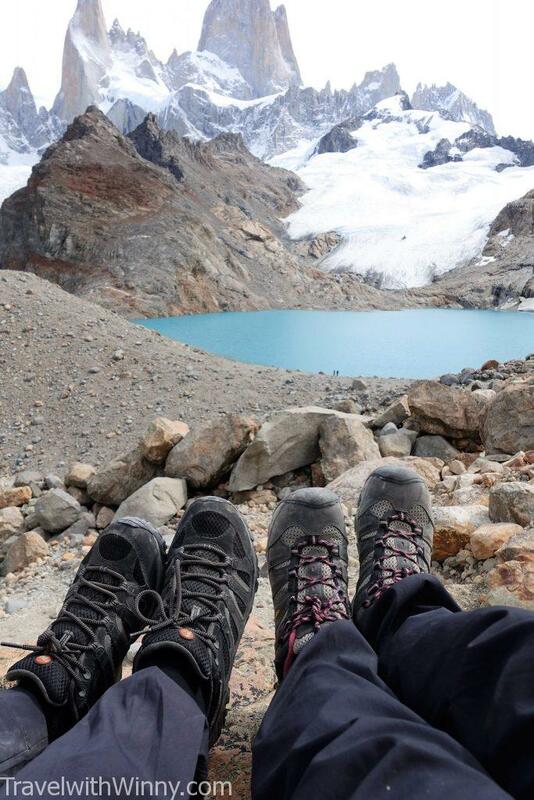 During the year we only bought our hiking boots/ shoes and a pair of sandals each, all of them lasted until the end. When travelling with 8Kg carry-on, there really isn’t a lot of clothes in our backpack. Typically there’s only two for each type, which means we have to handwash every second day, otherwise, we would run out of clothes! We only pay someone to do our washings if we did a big trip, such as after 4D3N Inca Trail to Machu Picchu. There are always ways to hang our washings inside an accommodation. 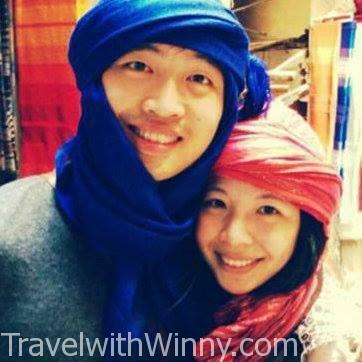 A travel clothesline such as ones from Travelon is a cheap investment. You don’t even need clothespins, simply hang the clothes between the braided elastic cords! 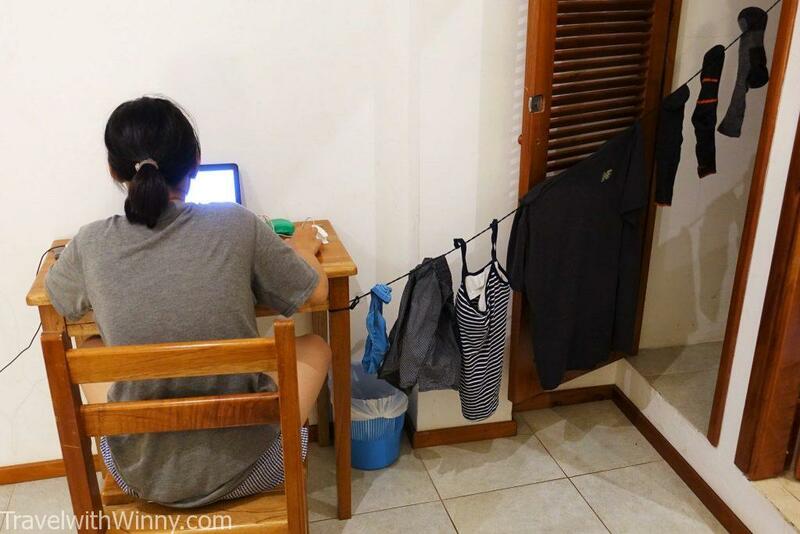 There’s always a place to hang your washing in a room, just need to be creative. When we bought Petzl – TIKKINA 60 Lumens for Inca Trail, we did not realize how much we needed them in third-world countries. By having a head torch in our bag, it means we don’t need to use our phones to light up the surrounds if there’s a power shortage. 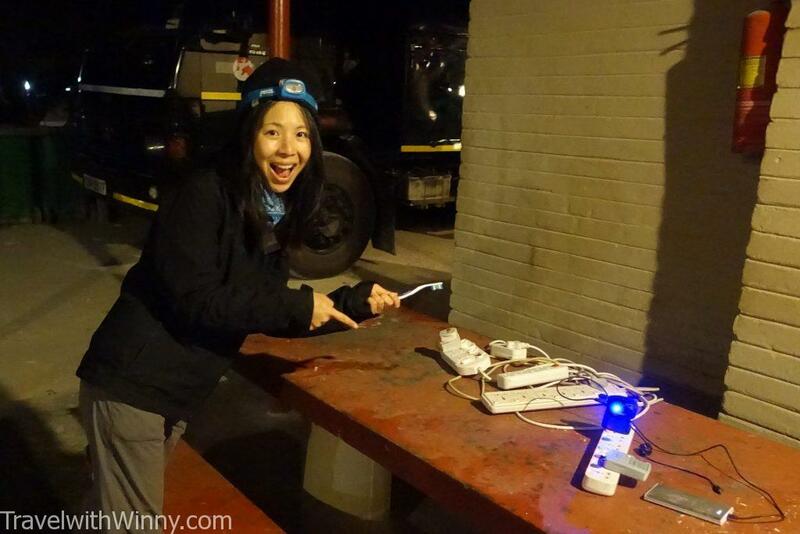 Everywhere in Africa, I carried my headtorch around just in case the power suddenly goes off. The above items are things I will definitely pack for my next overseas trip even just for a short duration. However, if you are interested in knowing we packed our all our gears into 8kg carry-on, please read our Packing List for Long-Term Travel as well as watch our video!